Import your Google Blogger Blog "Blurbs" on your Home Page… The Right Way! 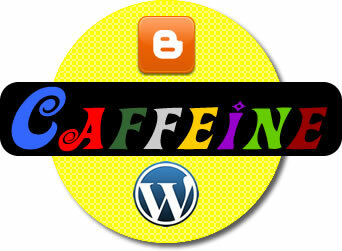 With the Google release of Caffeine at the beginning of June 2010, the freshness of your web site data has become more important than ever in regards to your Organic Placement. So, if you are Blogging with either Google Blogger or WordPress, you may now have your most recent Blog Posts (3 is typical) appear with a short “Blurb” of their content on the bottom of your home page. But… You must make these “Blurbs” appear as Fresh Content for the search engines. The trick is to get the contents of your Blog “Blurb” to be real text read by Google, Yahoo, MSN and not just be seen as “Plug-In” code without any real content from your Blog. Do you see the CONTENTS of your Blog “Blurb” or do you just see the “Plug-In” code with no actual content? If the CONTENT doesn’t appear when you click the “Text Only” link, then you aren’t giving Google fresh content from your Blog. Thus you are not helping your placement in the organic listings. Remember: You must wait long enough for Google to “Cache” your updated home page with the newly installed Blogger “Blurb” code before you can check this. And for the more technical innkeeper out there, you can always “Right Click – View Source” once the page is loaded, if you don’t want to wait for the “Cache” to be updated. “Many ask, well, isn’t this duplicate content. I thought duplicate content was bad.” Typical Blog Posts are usually a few paragraphs. These posts consist of many, many words in those few paragraphs. The “Blurb” that is pulled from the Blog to put on the Home page is only a small part of the whole Blog Post. So yes, those few words are duplicated, but when included with all the other words you have on your home page, the duplicity is very minimal, if noticeable at all. Finally, we DO NOT recommend that innkeepers use this feature as a substitute for keeping your home page “A Note from the Innkeeper” box FRESH, which you should be doing on a weekly basis. The concept of including your Blog post “BLURB” is best used as an enhancement to your weekly Freshness work. If you want to try to set this up yourself, you need to know that you can only go so far, until you’ll need to have your hosting company make some changes on your physical hosting account. Changes have to be made to your .HTACCESS file to allow this feature to work. And that is something the average innkeeper needs to have done for them. If you host with Acorn IS, this work should take about 30 minutes for us to do it all for you at our normal billing rates. If you do not host with Acorn IS, you’ll need to discuss this process with your hosting company. Their hosting server setup will most likely be different, thus requiring a different process to make the Blog “Blurb” display properly. Step 2 – Click on the Create a New Digest Button. (In FireFox) bring up your blog. In the top part of your browser bar, you will see a small orange feed icon. Click it and chose the RSS option. You will be taken to a Google screen. You will see the title of your blog at the top of the page and a URL in green. Copy the URL into Memory, this is your Blog Feed Address. (In Internet Explorer) bring up your blog. In the top part of your browser, you will see the orange feed Icon. Click it and choose the RSS option. Copy the URL into Memory. This is your Blog Feed Address. Step 3 – Under Add New Feed to this Digest, Copy in your Blog RSS URL and click Save Changes at the Bottom. Step 4 – Under Digest Settings, choose your settings – 3 is a good number for a nice concise Blog feed. Step 5 – Under Digest Design, choose your template based on your preference and how it will look on your site and then click the Save Changes button. Note: Choose carefully, because once your feed is set up, you can’t change the look without deleting the digest and starting over. Step 6 – Click Publish Digest Button, and choose PHP (CURL with Timeout) from the code format dropdown. Step 7 – Cut and Paste the code generated in an E-Mail to your webmaster so it can be added to the home page of your web site and also so your hosting company can set the server .HTACCESS file properly. This entry was posted in blogs, blogs google, google by admin. Bookmark the permalink.